Carrol L. Gingold - Blondie's Treehouse, Inc.
carrol’s career was off to an early start when she attended new york’s high school for art and design. there she learned how to cultivate her attraction to design and develop a keen sense of style. she continued her interests at new york university and understood that design would be a lifelong career. 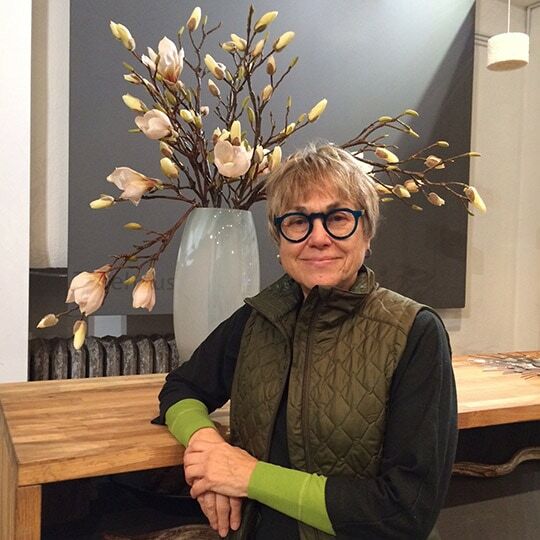 with over 17 years of experience in horticultural design, she has developed relationships with new york city’s major corporations, financial institutions, real estate firms and non-profit organizations. she has been a member of new york horticultural society, metro hort group, i.f.m.a. greater n.y. chapter and the association of real estate women. arriving at blondie’s in 1995, she quickly developed the nickname of the “queen of christmas”. carrol has taken holiday décor to a whole new level. she delights in the entire process from meeting with clients and brainstorming ideas, to working with blondie’s production team creating holiday decorations. she is on-site throughout her many installations and is always accessible to clients. throughout the year carrol continues to work with her client’s developing custom interior plant programs. botanical design is a creative outlet for carrol and she enjoys working with tropical plant material, fresh floral arrangements and designer containers. when she is not decking the halls, carrol enjoys traveling and seeing the world. when she is at home, she enjoys spending time in her kitchen and taking walks in nature where she finds something to enjoy in every season.